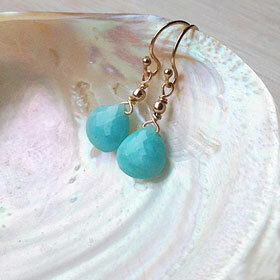 Stunning high grade micro-faceted dainty amazonite earrings with 14kt gold fill. Top quality gems. 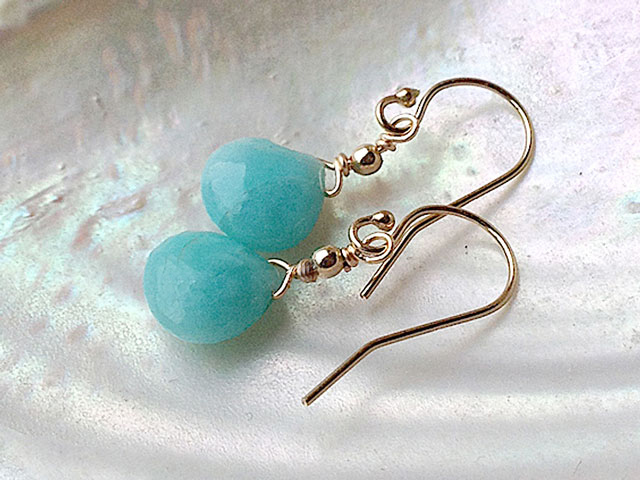 Gently faceted and with a lovely pop of colour, these gorgeous amazonite earrings are here to brighten your day. Length: 25mm. Gemstone approx 8mm. Made to order.